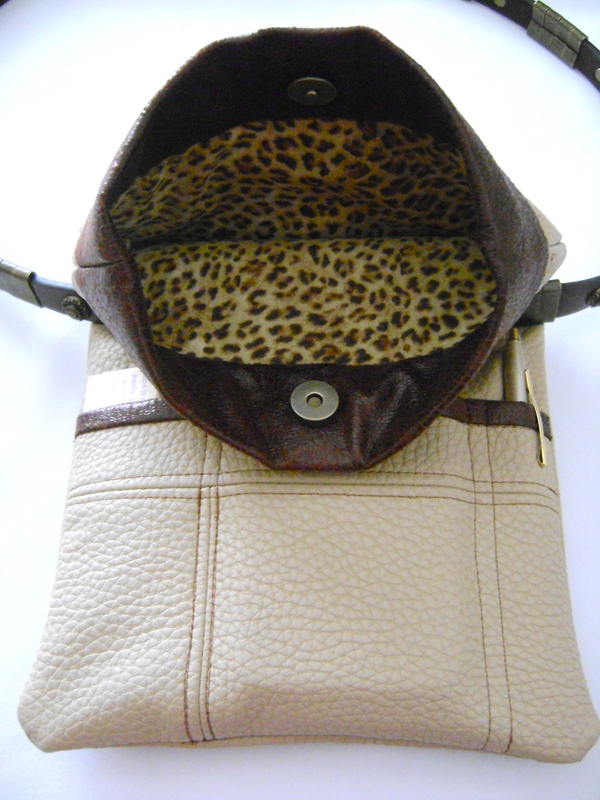 There’s no such thing as too many purses. 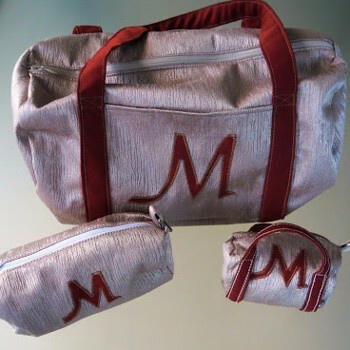 Whether you need a laundry bag, a gym tote, or a gorgeous evening clutch, there are bags for all occasions. 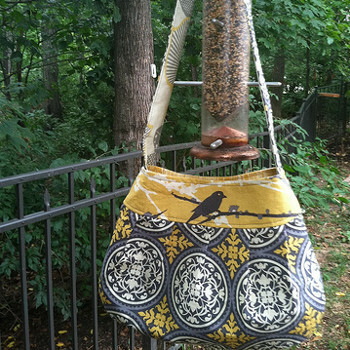 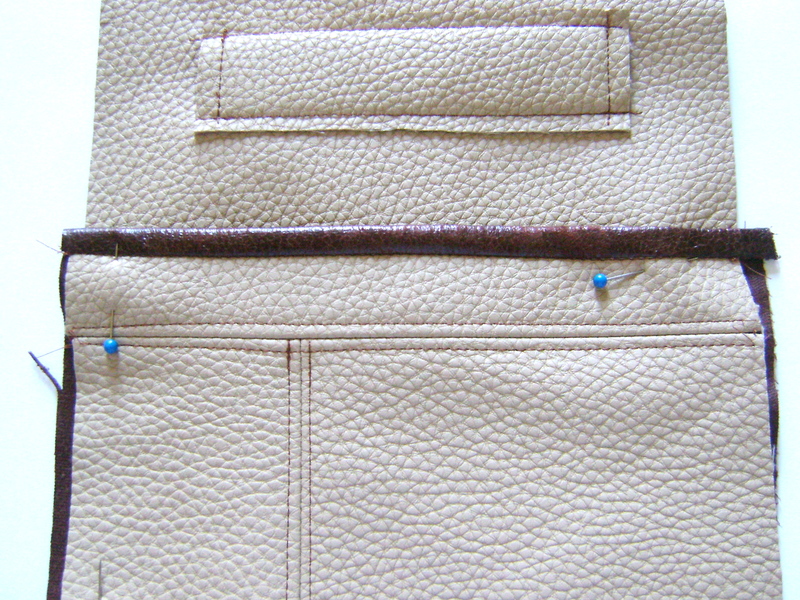 Sewing a bag is always a great way to spend an afternoon, since it’s a project that you’ll use over and over again. 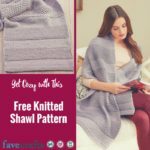 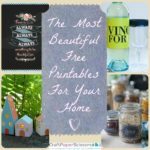 They make for wonderful gifts, especially around the holidays! 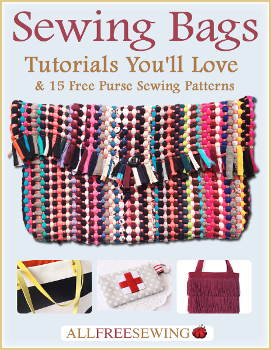 In the spirit of Christmas sewing, we at AllFreeSewing have put together a revamped, better-than-ever, new edition of our eBook, Sewing Bags: Tutorials You’ll Love & 15 Free Purse Sewing Patterns. 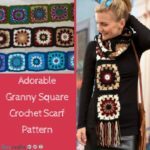 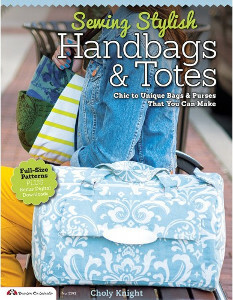 From over-the-shoulder sling bags to linen jewelry bags, this free eBook has a little taste of everything. 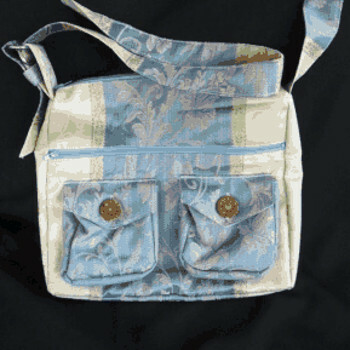 It’s the perfect collection of bags and purses, full of variety. 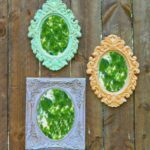 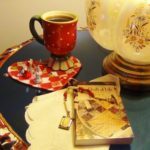 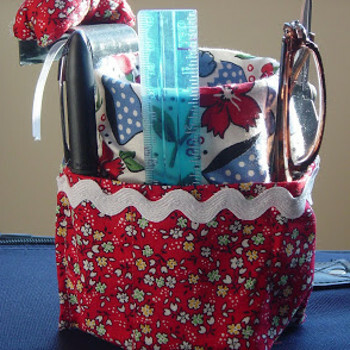 You’ll find tutorials for refashioned bags, vintage patterns, organizer projects, and bags for every age. 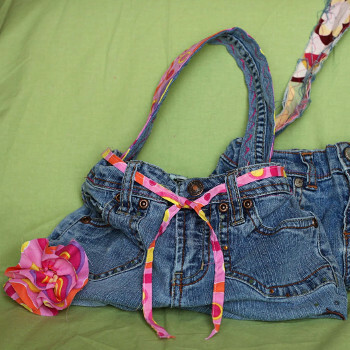 This bag is so stylish and pretty! 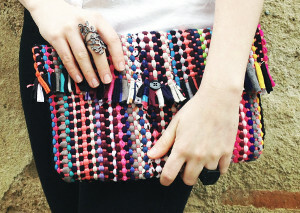 The DIY Rug Clutch is a clever way to refashion an old rug. 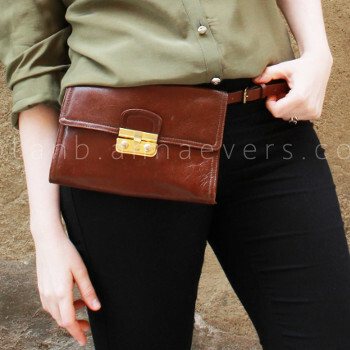 This bag is such a great addition to any outfit. 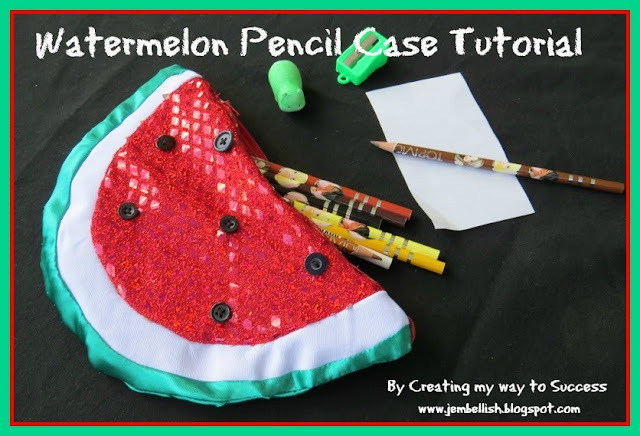 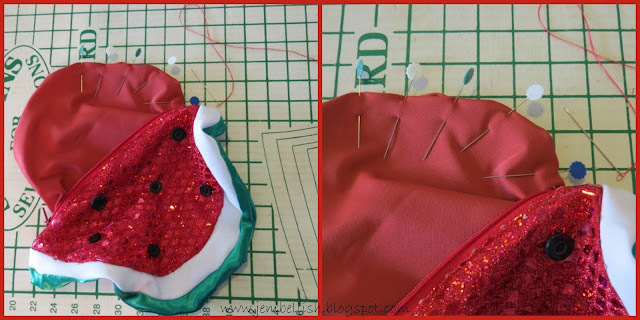 Plus, it’s an easy project to sew. 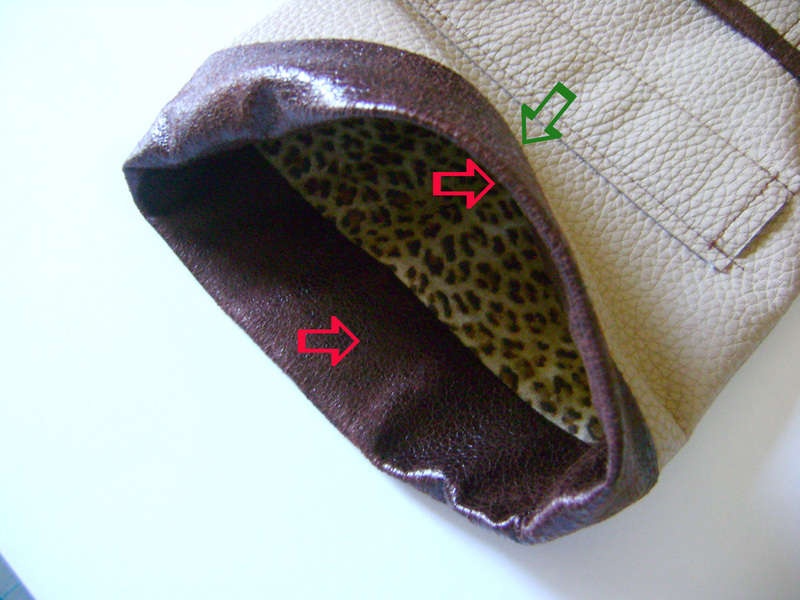 This tutorial will teach you how to insert a lining, button, and zipper to make a sturdy, life-proof clutch out of a discarded piece of home decor. 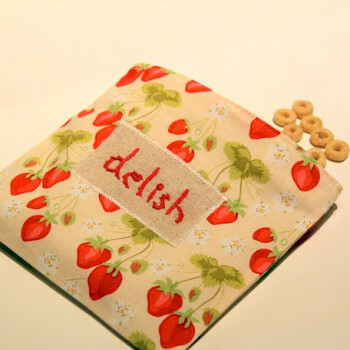 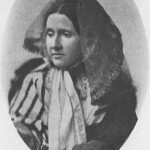 Everyone knows that being a Mom means that you’re also a teacher, artist, lawyer, chef, and of course, doctor. 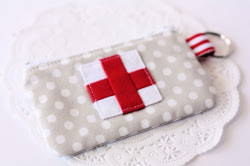 Never be without a Band Aid and some Neosporin, thanks to the adorable Emergency Zipper Pouch! 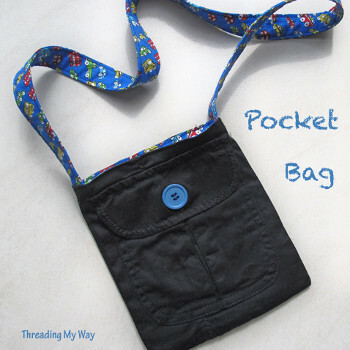 This great little on-the-go bag is perfect for skinned knees and bruises. 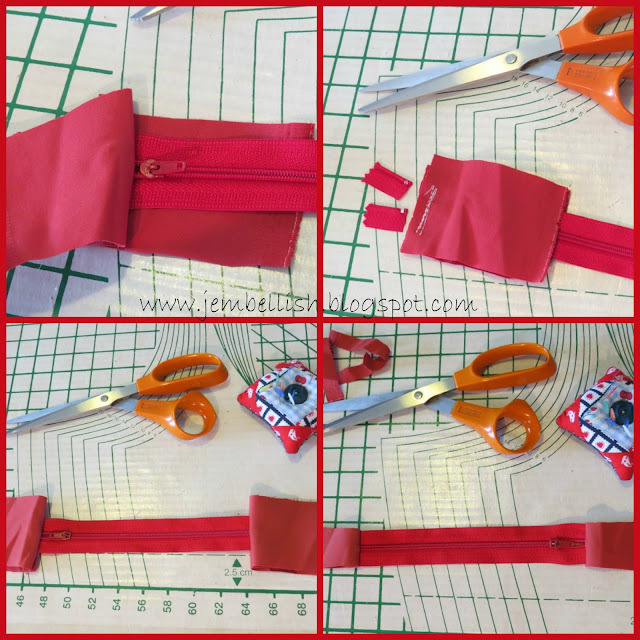 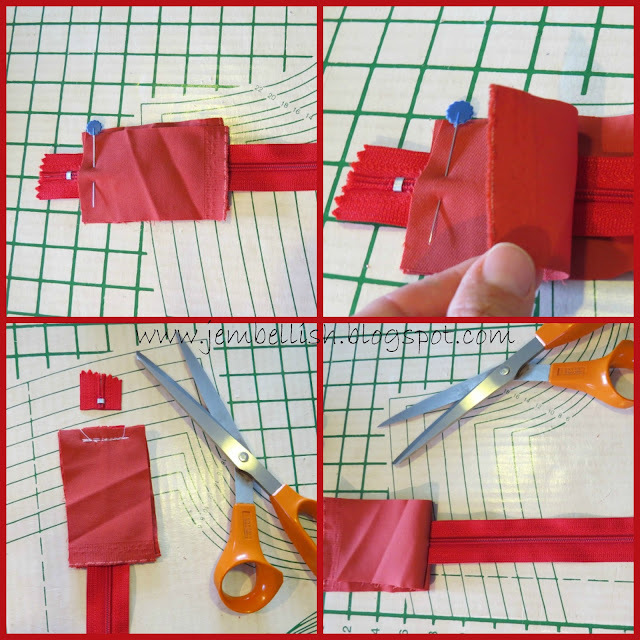 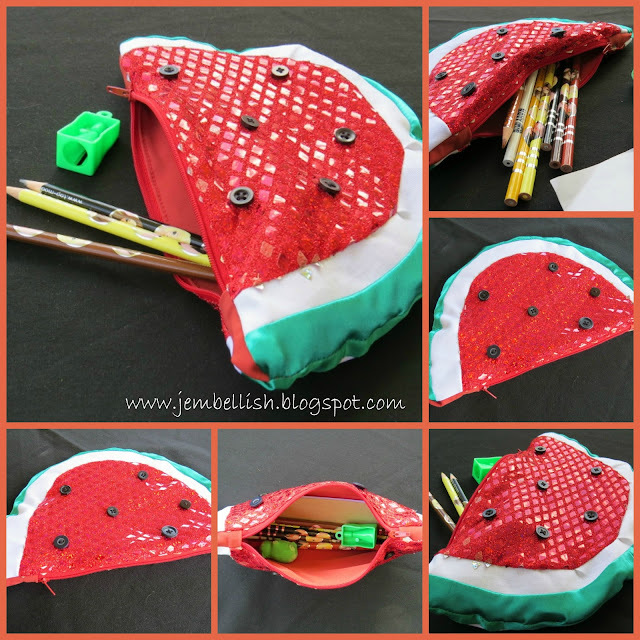 This zippered pouch is easy to sew and includes a little keychain so that you can keep it with you no matter where the emergency is. 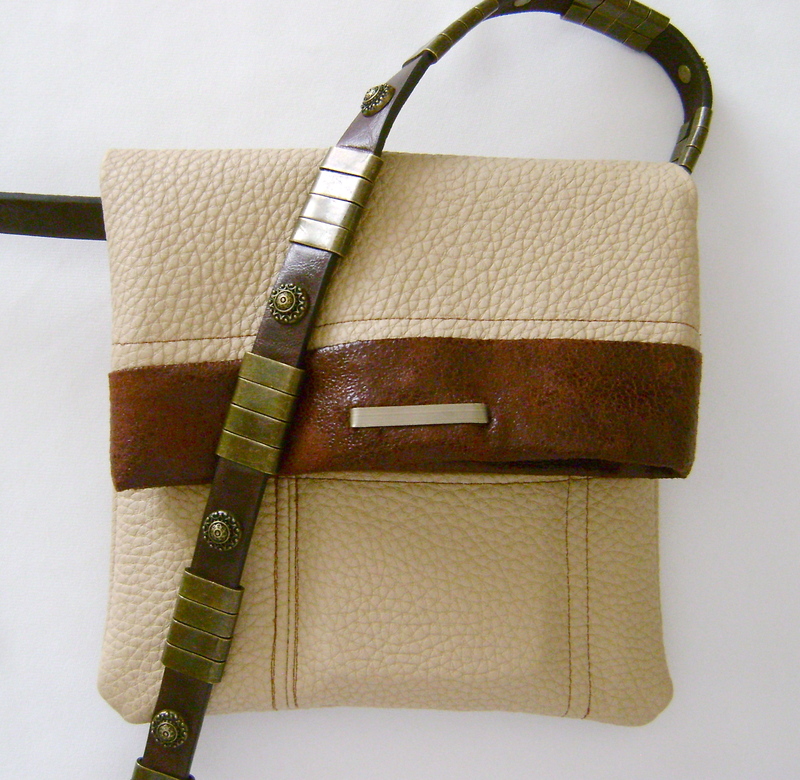 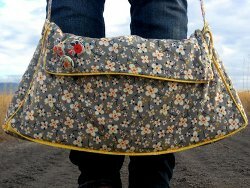 This project is Not Just Another Pretty Purse. 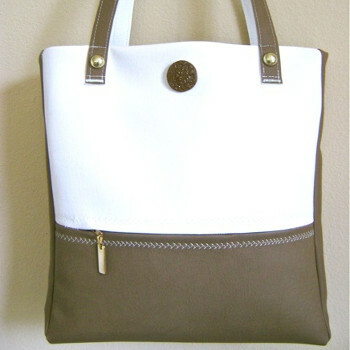 This big bag is stylish and pretty, but more than that, it’s useful. 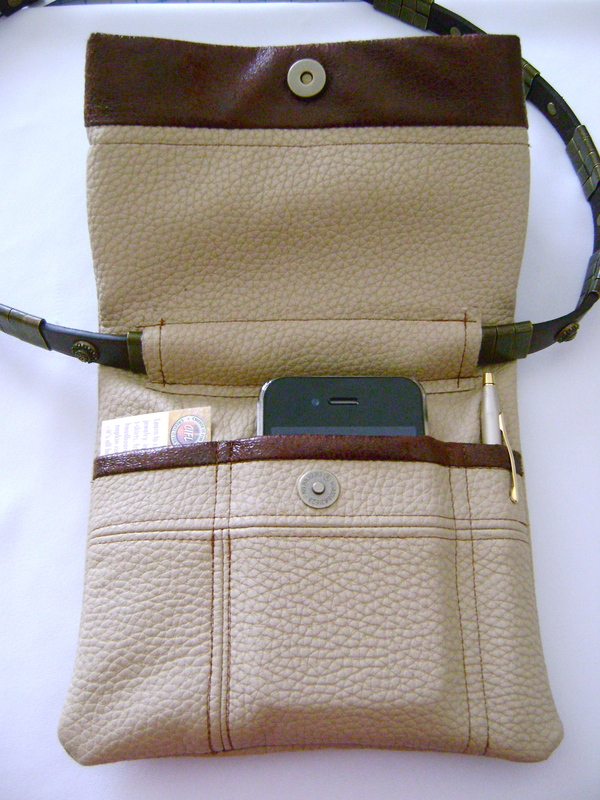 The bag’s shape and size make it perfect for overnights. 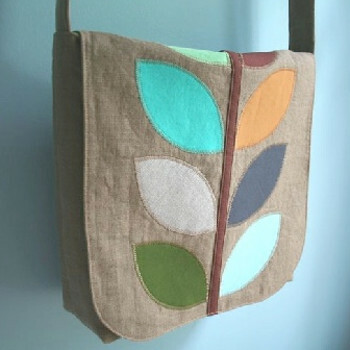 Whether you’re jet-setting off for a weekend vacation, attending a work conference, or just packing the kids up for a weekend at Grandma’s, this bag will hold all of the essentials. 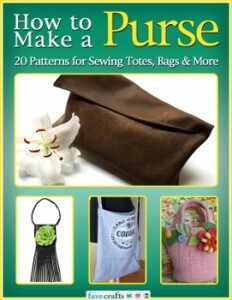 Download your free copy of Sewing Bags: Tutorials You’ll Love & 15 Free Purse Sewing Patterns today! 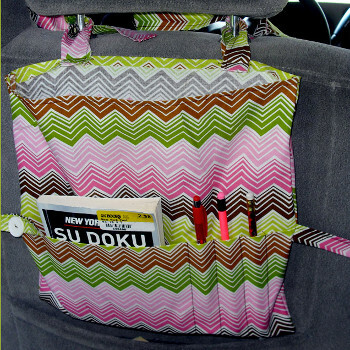 What items do you always carry in your purse, no matter what? 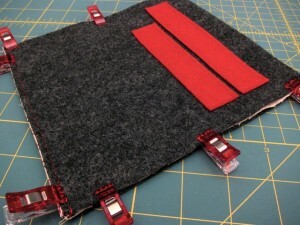 I’ll admit it: I’m the kind of girl who will fish a dead keyboard out of the trash for purely crafty purposes—there are just so many awesome ways to reuse and repurpose the parts! 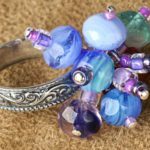 In addition to the ever-popular keyboard jewelry options, I love the idea of using old keys to geek up projects in unexpected ways. 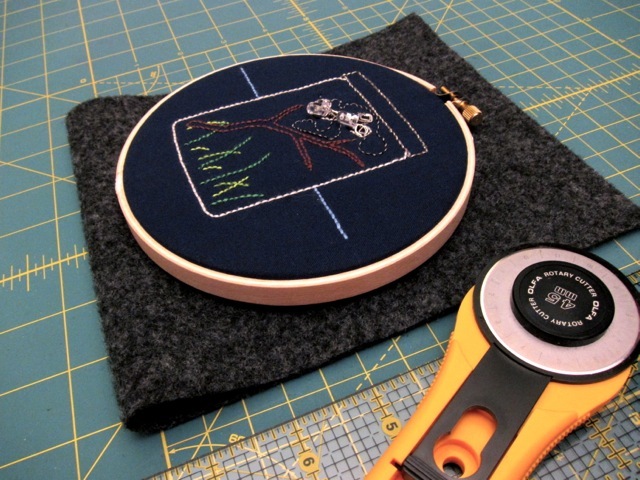 So, with that in mind, I decided to add a quirky keyboard message to my travel embroidery hoop sleeve, ensuring that all of my needlework projects stay both clean and extra-sassy while I’m stitching on the go. 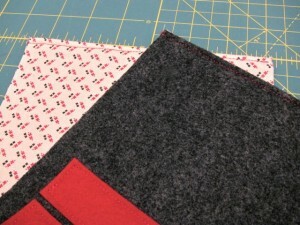 If you’re not jazzed about the Beastie Boys, feel free to change up the words to better fit your style! 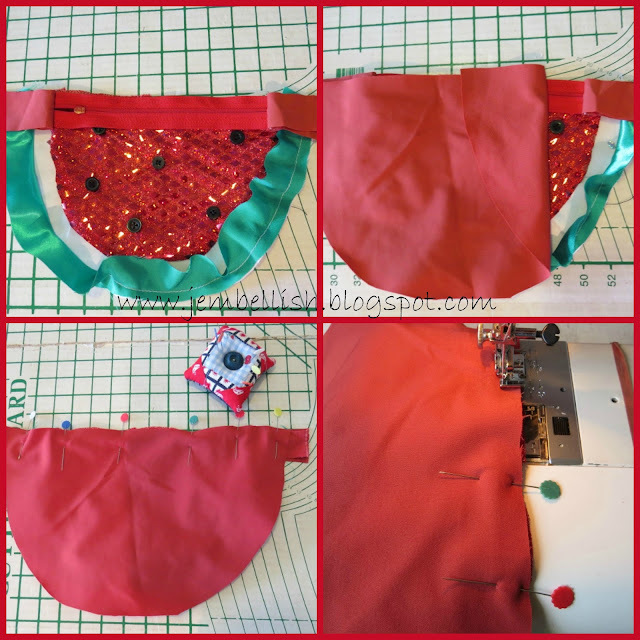 This tutorial will show you how to make one embroidery hoop sleeve in a size that’s made to fit your favorite embroidery hoop. 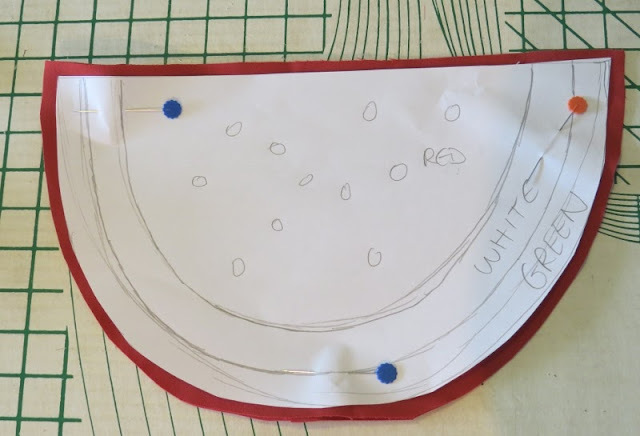 Fold the large piece of felt in half, then trim the top and sides so that they fit the size of your embroidery hoop, adding an extra inch to the top and both sides. 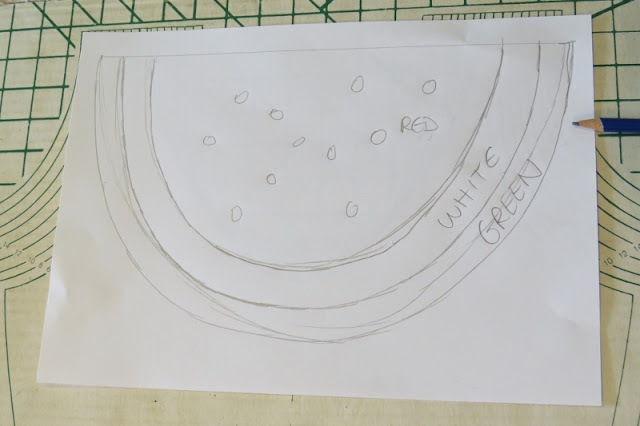 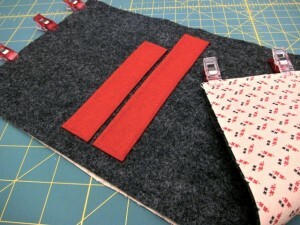 Using the felt rectangle from step 1 as a template, cut the piece of fabric to the same size. 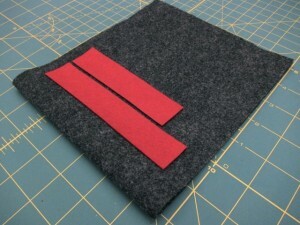 Cut one or two smaller felt rectangles to accommodate your keyboard letters. 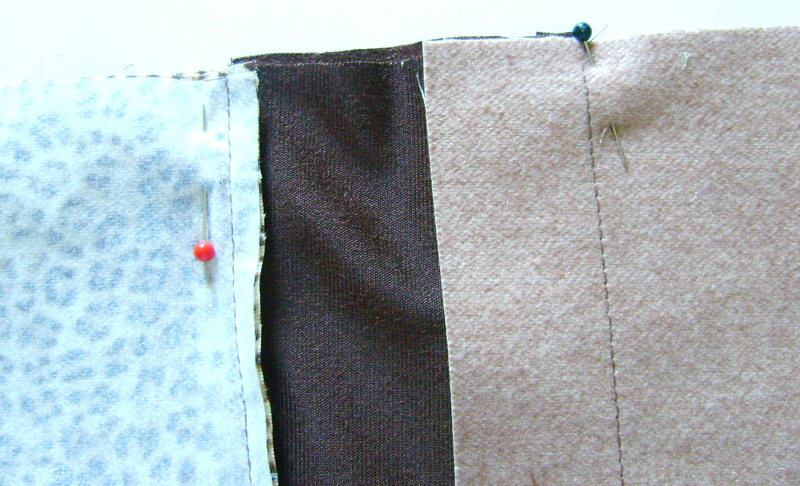 The lengths will vary depending on the words that you choose. 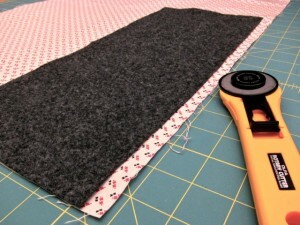 Using basting stitches or small drops of fabric glue, position the rectangles that you cut in step 3 just above the fold on the large felt rectangle, then use your sewing machine to stitch around the edges of each to secure them in place. 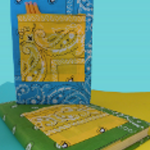 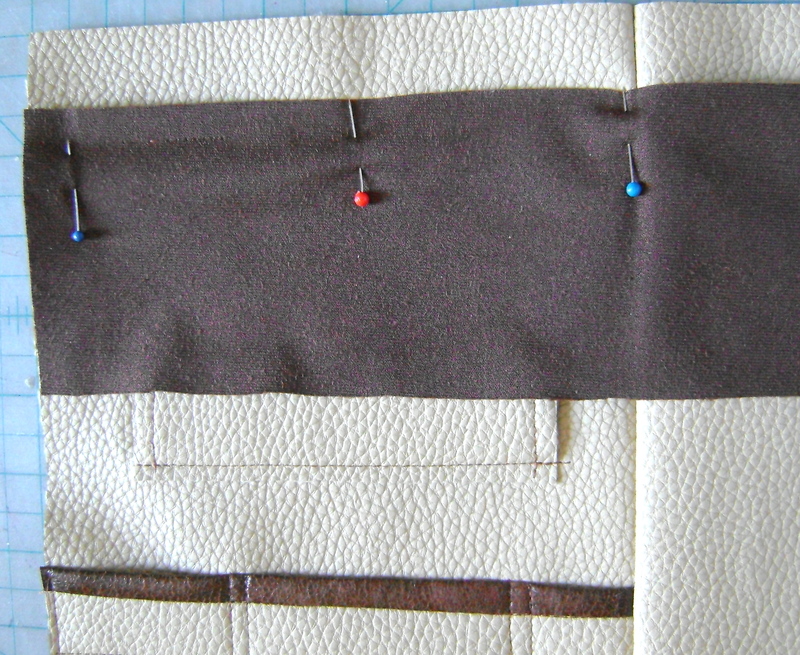 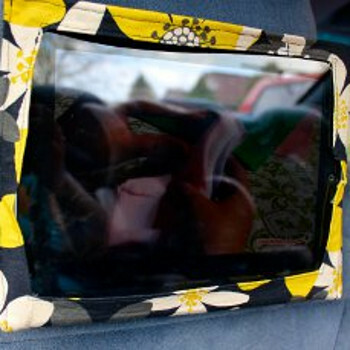 Once the ends are joined, turn the felt and fabric rectangles right side out. 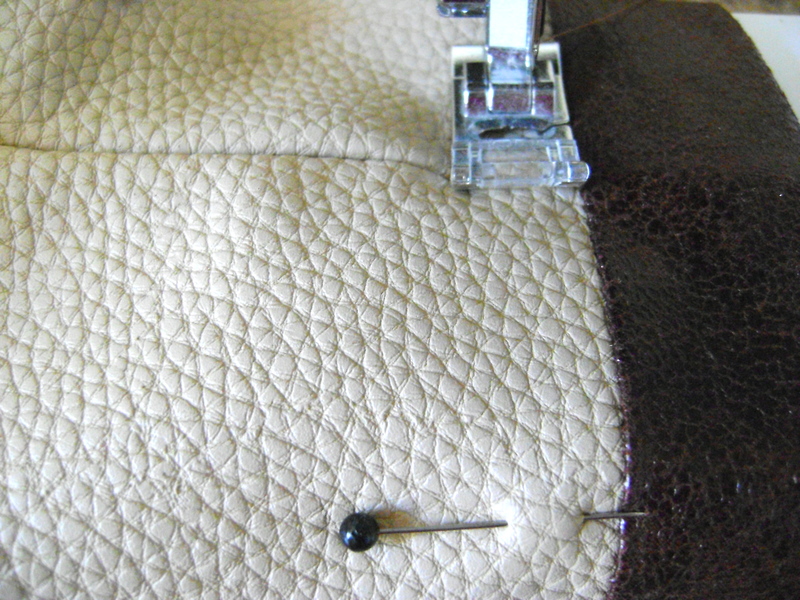 The top and bottom seams that you made in step 5 should now be enclosed between the two pieces. 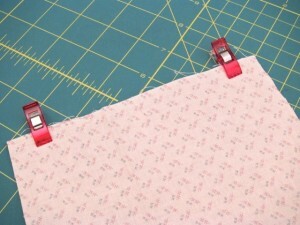 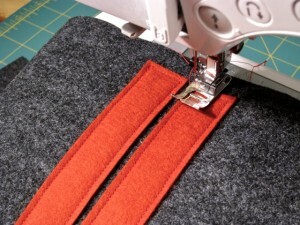 Use straight pins or fabric clips to neatly align the fabric on either side of the seams. 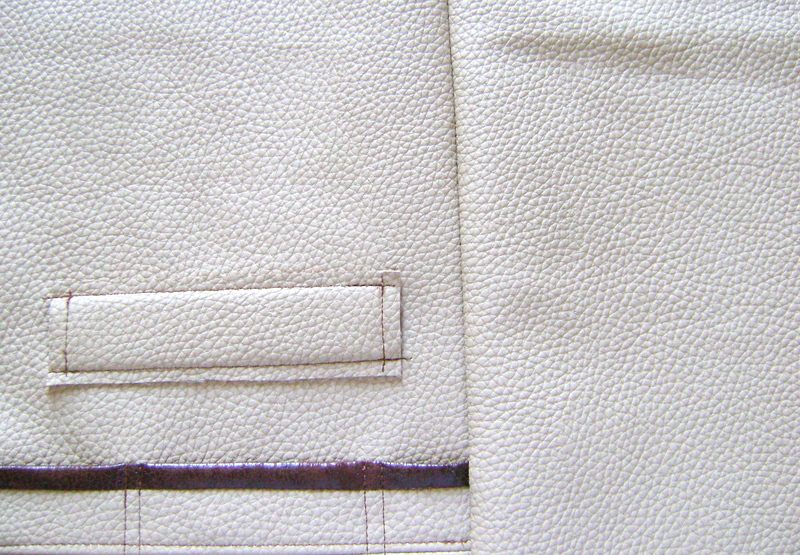 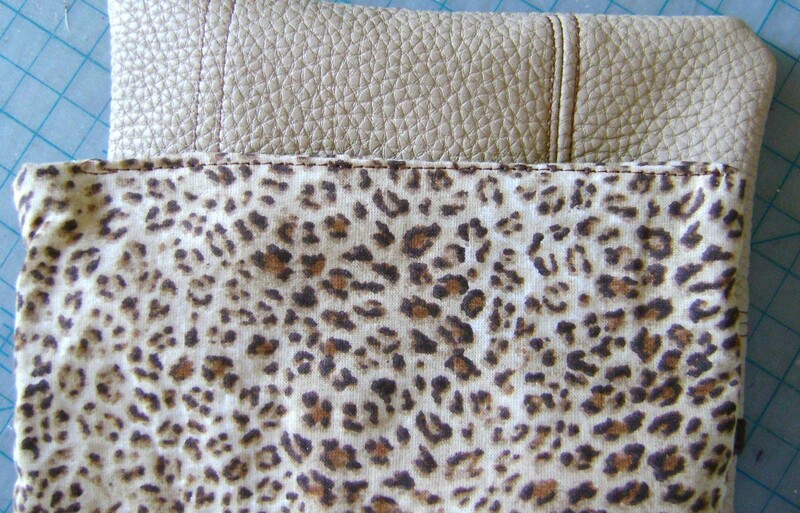 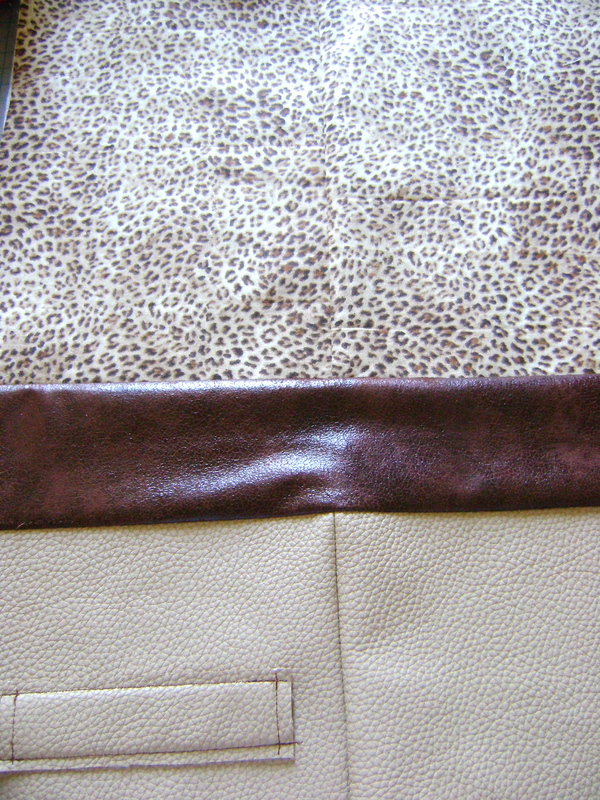 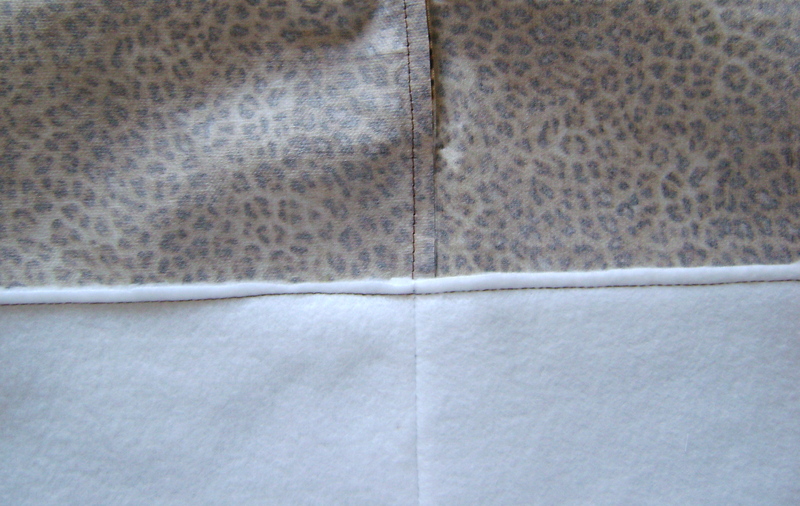 Use your sewing machine to top stitch across the top and bottom edges using a ¼” seam allowance. 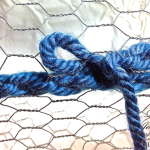 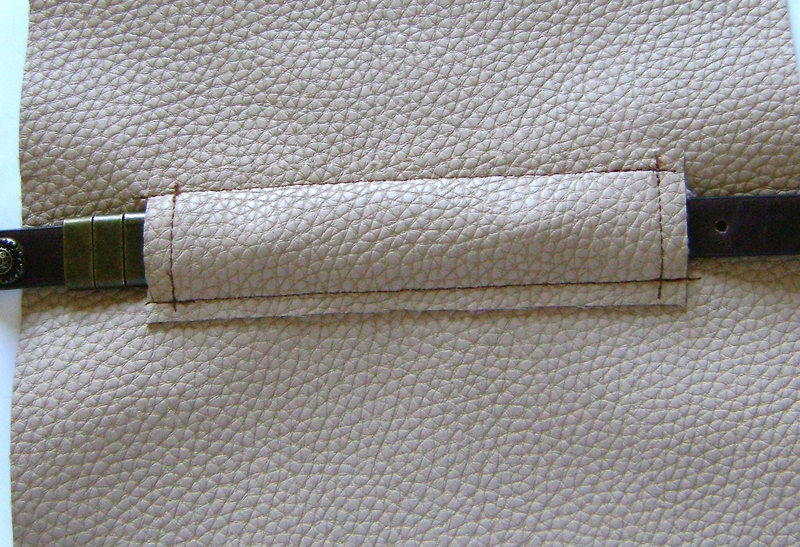 To add extra strength and stability to the opening, you can whipstitch around the side seams near the top on each side. 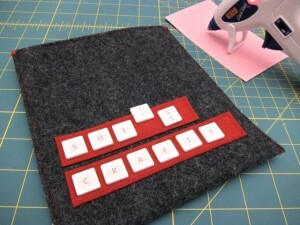 Position the keyboard letters on the smaller felt rectangles, then use hot glue/your favorite multipurpose adhesive to secure the keys in place. 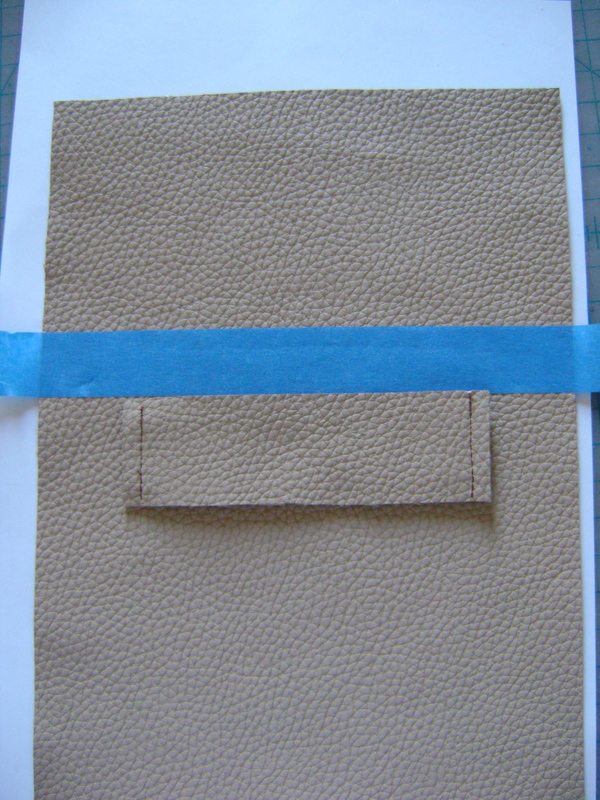 Allow the glue to dry completely before using your finished sleeve. 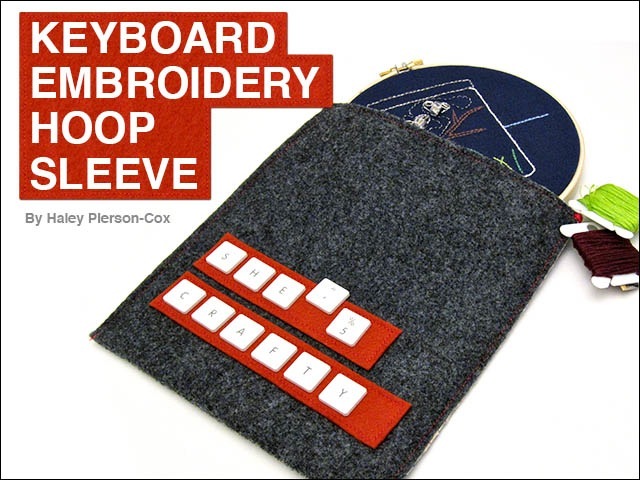 Do you have a great idea for crafting with old keyboards? 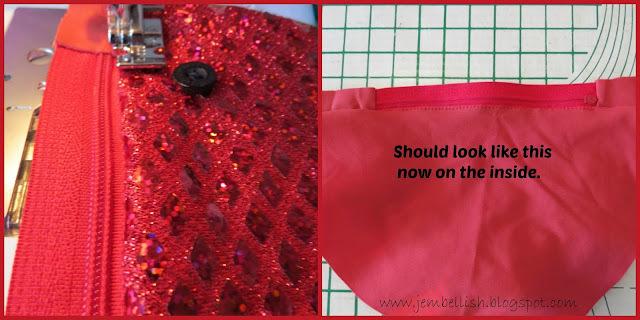 Leave a comment below and tell me what you’d make!